What makes a standards vocalist standout in the sea of vast choices of exemplary swing artists? Is it the arrangements; is it the song selections or the phrasing? 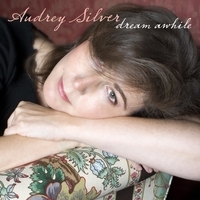 In Silver’s case it is a few factors that help her stand out as an exemplary jazz vocalist. Silver has a very round and inviting contralto alto voice that comes across genuine and well polished with well placed ornamentation. If I had to make any critique and this is being minute; it would be to hear Silver with a bit more abandonment and a bit less carefulness in phrasing. Again, this is meant to be a constructive criticism, one I feel confident could be easily attained by Silver and would set her apart in a league, head and shoulders above in the ranks with vocalists like Roberta Gambarini. Silver to this reviewers ears sounds like an alto version of Tierney Sutton, with a clear control of her instrument, confident articulation of ideas and above all a truly captivating voice that I will enjoy hearing for years to come. Dream Awhile finds Silver fronting a quintet. Each member truly compliments the recording by not overpowering the vocalist and offering the listener complimentary solos that fit the mood of the recording well. The ensemble truly lets her true message of beauty shine through. Cuts such as; “The Song is Ended,” “In The Wee Small Hours” and “Too Marvelous for Words” highlight Silver’s seductive style. Well-supported by arranger and pianist Joe Barbato, he can be lauded for truly understanding how to create an outstanding offering. Dream Awhile is certainly a nice addition to any vocal jazz collection and well worth purchasing for the bragging rights to say; I knew her when.